Spring Time Mason Jar Picnics! Before we jump in to this week’s blog post, here is a final picture of my tissue holder. I think this would be a great craft to do with the kids for Mother’s Day! Now that I’ve got the Spring Fever, I thought I’d share some Mason Jar picnic ideas. Mason Jars are really great for picnics because of their portability. Drinks for example – both adult and children’s beverages are so much easier to pack when they’re in a Mason Jar. You can make a fruit infused water for the kids and a yummy sangria for the adults. Use the Mason jar lids to transport them, and once you get to the park or beach, change out the lids to one of our fun lids, pop in a reusable straw, and you’re good to go! 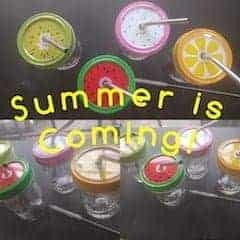 Find fun lids here and all of our reusable or paper straws here. I love the gunnysack.com’s idea of a “Picnic in a Jar”. This would be great for when you take the kids on a day outing and want to decrease waste! Your salad, sandwich, chips and cookies all in one jar. That saves on so much waste, as well as using a reusable glass Mason Jar. Brilliant! Don’t forget to grab one of our snack cups instead of using a plastic one. Our snack cup can be found here. Hopefully this gave you some good ideas to kick off your Spring and Summer picnics. Using Mason jars is such a fun and easy way to pack a picnic and help minimize waste and increase portability. And, let’s face it, they’re cuter than anything else out there. Mason Jar Lifestyle has some fun accessories that make great picnic items. Don’t forget to stock up for your outdoor adventures! We have a fun new product, just in! If you follow us on Facebook, you already got a sneak peek! This is a Mason jar crafter’s dream, because it’s simple, but oh so versatile. It’s Sheer Mod Podge that dries transparent, so your Mason jars come out like beautiful stained glass. I tried a few of our colors and I’m excited to see how they come out. One of the colors I chose because it matches my nail color – can’t go wrong with that! I came across a super cute Mason Jar tissue holder craft that I think will work great with our new Mod Podge tint. If you follow us on Instagram you saw the craft. Can’t wait to pair it with the Mod Podge. On sandandsisal.com they had a really great craft they paired with the Mod Podge tint. Make-up organizers. Brilliant!! Can’t wait for my Mason Jars to dry so I can get to crafting. This is a quick and simple craft that helps to get your bathroom organized and looking super cute! There are so many possibilities with this fun new product. I’m so glad Mason Jar Lifestyle has it available. This definitely steps up the Mason Jar crafting game. This is a fun way to add a pop of color to any home decor, tablescape, gifts, and so much more. Would love to see what fun things you all dream up with the Mason Jar tints. Head over to our Facebook or Instagram page and share the crafting love. Make sure and tag us and add #masonjarlifestyle. Happy Crafting! Stay tuned for an update on my finished product! What Is Sprouting And What Are The Benefits? We’ve all seen sprouted bread on the shelves or in the freezer section of our local grocery stores. Now it is spreading to the snack and cereal aisles as well. So what the heck is sprouting, how exactly do you sprout, and what benefits does sprouting have? I’m glad you asked, because in this blog post we will explore just these very things. First off let’s go into what exactly sprouting is. According to Dr. Axe’s website sprouting is germinating seeds, which include grains, nuts, beans, and other seeds, to make them more digestible and nutritionally available to our bodies. Now that we know what sprouting is, let’s take a look at some of the benefits of sprouting. Sprouts contain digestive enzymes and high levels of antioxidants Blood sugar control Lower glycemic index (basically less starch in sprouted grains) Increase in vitamins and minerals…yeah! Eliminates the anti-nutrient phytic acid. With this gone the body can more readily absorb iron and zinc, as phytic acid blocks the absorption of these minerals when present. Now let’s go into the fundamentals of actual sprouting. The only precaution when sprouting is the potential for bacterial growth. Here are some tips for preventing this as much as possible, which I found on the Daily Burn website. The University of California Division of Agriculture and Natural Resources recommends buying certified pathogen free seeds. These can be found from Burpee Seed Co. and Sprout People Heat your seeds on the stove for five minutes in a solution of three percent hydrogen peroxide, preheated to 140 degrees, recommends UC Davis. You can purchase the hydrogen peroxide from your local drug store. Use your kitchen thermometer to achieve the right temp. Rinse the seeds in running tap water for one minute, and place them in a sanitized sprouting container. A mason jar will work well, Caspero says. To sanitize the jar, soaked in 3⁄4 cup of bleach per gallon of water for at least five minutes, then rinse it with clean water. Fill the Mason jar with enough water that it covers the seeds, plus one inch. Skim off and throw away any floating seeds and debris, the UC Davis guide recommends. Cover the mouth of the jar with a sprouting lid. Place the container away from areas of food preparation, pets, and busy areas of the house. Depending on what you are sprouting, the soaking times will vary anywhere from three to 12 hours, she says. Now drain, pouring the water out through the sprouting lid. Then run fresh water through the lid and shake to rinse thoroughly. Drain and repeat again. Continue to rinse and drain two times a day until the food is done sprouting. The sprouts should be ready in one to four days. Enjoy sprouted foods within two to three days. Cook them before eating to kill any bacteria that may have snuck in during the sprouting process, she says. If you follow these guidelines, you should prevent bacterial growth; just make sure and read through all of this before starting your sprouting adventure. Mason Jar Lifestyle has some great sprouting lids to get you the best results. You can find them here, so make sure a grab a few to get you started! When I was a kid, my father hired my cousin to help on the farm. For several summers in the 1970’s, Grandma brought Steve from the city to our farm as soon as school let out. Our go-to beverage back then was Kool Aid. After a long, hot day on the tractor, Steve could not get enough. Mom started placing a quart Mason Jar by his dinner plate. She, by necessity, was a woman ahead of her time. Since then, I have seen hip restaurants serving beverages in Mason Jars. My coworker told me that he asked his wife to get rid of their glasses and replace them with Mason Jars for their large family. I see everything from lemonade to cocktails served in various sizes and shapes of these versatile jars. I drink tea from mine. If one Mason Jar should break, the set won’t be broken. The age-old and proven style is not likely to be changed so it’s easy to replace a few. The colorful lids and straws offered by Mason Jar Lifestyle reduce spills and help kids tell their glasses apart. The Koozies and Faux Leather handles make it possible to have a coffee or tea while the kids drink their milk and lemonade. The Cold Brew Coffee and Tea infuser allows you to make your coffee or tea right in your jar, in fact. Buy your Mason Jars local or online local. Make them fun and useful with products from Mason Jar Lifestyle. Summer is coming! Spring is a time of renewal and revitalizing. It’s a time of throwing open the windows and letting the fresh Spring air blow away the staleness of Winter. It’s a time of planting seeds, seeds of intention for what you want the rest of the year, and actual seeds to grow beautiful Spring flowers. Once you have your Spring bounty what are you do to with all that loveliness? Grab a Mason Jar, some craft supplies, and read on for some ideas. These are some of my favorites and are perfect for your first Spring Brunch. To me Spring time signifies the beginning of Brunch season. And these all scream Brunch tablescapes! This is what I call simple elegance. The blue tinted Mason Jars are one of my favorites to decorate with. They are so beautiful with white flowers. These just make you go….WOW! In Colorado we usually can find some very beautiful wild flowers not too far from our front door. These are a natural fit with any Mason Jar and always look great! Finish the arrangement off with your favorite ribbon or raffia. If you are like me you always buy the big bag of lemons at Costco with the intention of using them all before they go bad. Well, that does not happen most of the time….until now! Use some of those lemons to take your Mason Jar flower arrangement to the next level. So beautiful and SO Spring. These painted Mason Jar arrangements are so cute and so very Shabby Chic. This is what I call comfy elegance. These will really make your tablscape pop. Want more ideas? Check out all the fun ideas I found on Top Inspired – click here. And to make the arrange easier in your flower arranging head over to Mason Jar Lifestyle for our Frog Lid Glavanized Chicken Wire Lid. It makes flower arranging a snap, and gives it a vintage look! It’s almost that time! Time to plan our Easter treats and Easter tablescapes. I found some really amazing Easter treats and crafts for you all to try. These Bird Nest Cupcakes are so cute and perfect for Easter lunch or dinner dessert. A new twist on an old favorite! The recipe can be found At The Picket Fence. These are sure to be a favorite for years to come, and a recipe everyone will definitely want you to share. How about an Easter Mason Jar instead of an Easter Basket…? Yes please. These are different and environmentally friendly. Put a Mason Jar spin on all of Easter with these adorable Mason Jar Easter Baskets. You can find these and some other fun ideas on the website Uncommon Designs Online. Need a hostess gift for your Easter host, or just a fun gift to give your guests? How about Easter S’mores? Oh yea….! These are a fun Easter twist on everyone’s favorite campfire treat. Head over to Mommy Savers website for full directions on how to put these little master pieces together. Now that you have some ideas on how to put your best foot forward this Easter head over to Mason Jar Lifestyle for lids, straws, koozies, sleeves, and all the other accessories to make your Easter treats and tablescapes even better! Head over to Mason Jar Lifestyle to pick up one – no all – of these great Mason Jar accessories. These items will step up your Mason Jar game, and make John Landis Mason very happy! I’m not going to lie. Canning is a little intimidating, but it can be a great tool to keep you on the health train. As I wrote about in the last blog post, the more you can prep your meals ahead of time, the more successful you will be. Canning is the ultimate way to prep food. It’s a great way to save money and eat healthier foods while decreasing your consumption of processed foods filled with chemicals. 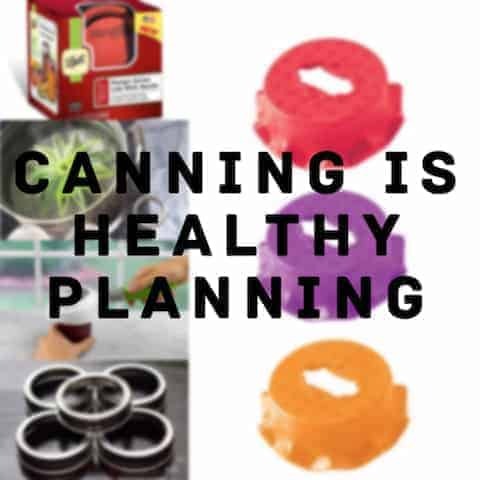 Canning can be another great tool to cut down kitchen time, but maximize your meal’s nutritional value. Our wonderful friend over at The Domestic Wildflower has put together a five day canning challenge to help you with all things canning. Her five day program will help you become a master canner, and at the same time make it even easier to keep your health train moving in the right direction! This is a great challenge if eating and feeding your family more whole and healthy foods was one of your New Year’s resolutions. It will also be a great skill to have when you don’t know what to do with all the produce you’re going to have in your new spring garden. Click here to join the challenge! Before you sign up for the 5 day canning challenge, head over to masonjarlifestyle.com to get all of your canning essentials. We’ve got all you will need to be ready for your five day challenge. 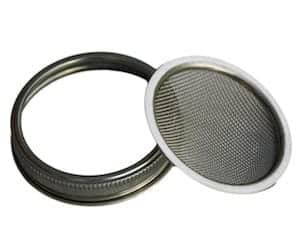 Check out all of our canning and fermenting accessories here. With all of Mason Jar Lifestyles canning accessories and The Domestic Wildflower’s 5 day challenge on canning you will so be winning in the healthy eating department of your life! We’re in the home stretch of winter and it’s almost time to get our summer bodies back. Exercise is an important part of that, but diet is just as important. You know the saying, “abs are made in the kitchen.” One of the best ways to set yourself up for success is to prep your meals. Meal prep can be daunting, but not when you have a Mason Jar. Mason jar meals are not just the latest craze, they’re the quickest and easiest way to meal prep! Mason jar meals can be prepared and kept in your fridge for up to a week. These are a great way to get a low calorie meal packed with fruits and veggies. 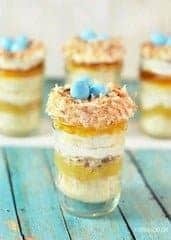 I found several really great recipes on Fitness Magazine’s website. Find them all here! 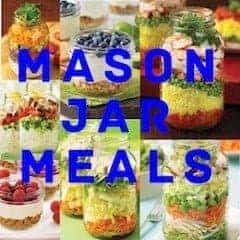 Don’t forget to check out Masonjarlifestyle.com for some great Mason Jar accessories to make your Mason Jar meals even more fun and easy! Love is all you need, and cookies! So Tuesday was Valentine’s Day, and I have been seeing Girl Scout Cookies at every corner. We are pretty deep in to our New Year’s resolutions and then we get hit with the Girl Scout cookie temptation. I’m starting to waiver, I don’t know about all of you?? As I have Valentine sweets and Girl Scout cookies on my mind, it made me think of all the super cute Mason Jar cookies I’ve seen online. 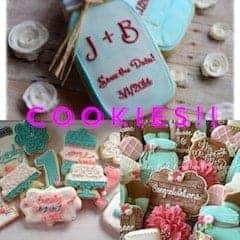 Then I thought, “oh my, Mason Jar Lifestyle sells Mason Jar Cookie Cutters.” As I was searching online for different recipes and Mason Jar cookie ideas, I came across some really cute Bridal, Birthday, Baby Shower, and a whole bunch of other party ideas where people used Mason Jar Cookies. All you need to do is find your favorite sugar cookie recipe, royal icing recipe, and a set of our Mason Jar Cookie Cutters, and you’re good to go! It’s amazing how many different types of parties these are used for! Check out a few ideas below. Then I thought, why stop at cookies? Mason Jar Lifestyle has super cute Heart Cut Out Lid Inserts. I should put together some cute Mason Jar Galentine Jars. All I need is a Mason Jar, my girlfriend’s favorite candies and Mason Jar Lifestyle’s cute Heart Cut Out Lid Insets. I found some really cute ideas on http://www.craftaholicsanonymous.net/ and not sure which one I’ll use, but Here are a few ideas I’m thinking of. So many cute ideas, so little time! We really should not limit showing family, friends, neighbors, significant others, co-workers, or whomever our love to just one day. Take these ideas and surprise someone you love unexpectedly for no reason at all, well except that you love and appreciate them. Let’s make 2017 the year of spreading L-O-V-E! !